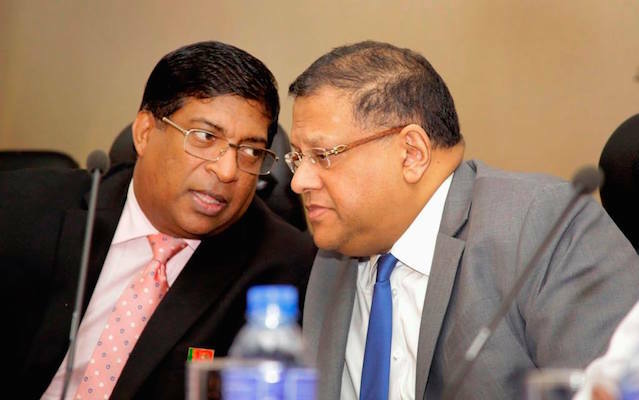 It is no exaggeration to say that the successive governments in the post independence era in Sri Lanka have contributed to the “debt plight” the islanders are made to bear with today. If one examines the statistics available at the Central bank and the ministry of Finance, that shall be proved beyond reasonable doubt . Once called the pearl of the Indian ocean, the old Ceylon was an epitome of economic success for many other countries and specially for the countries in the Asian region with self-sustenance in many ways and in many trades. Today, it is sad and worrisome to mention that the once self sustained country today has become an example for being “debt trapped” with no mercy towards its dwellers who have been mislead and misguided by not all but many successive leaders whom the dwellers appointed to guide and lead them and the nation. A review of the total debt taken from 1950 to date and the pay capita debt repayment reveals startling facts of an economy which pushes its every citizen to pay Rs 25,000 as interest, in addition to bearing another Rs 40,000 for the repayment of the principal amounts of the loans, per annum. In 1950 the total debt the country was liable for was Rs. 654 billions that only demanded Rs 86 from a Ceylonese to pay back the debts. In 53 years the total debt climbed up to Rs 2,139 billions in 2003 compelling every sri Lankan to bear Rs 111,563. In modern Sri Lanka which is bestowed with many white elephants, deal wheelers, a crooked public service and a confused society, every Sri Lankan has to pay Rs 425,000 to the cover the cost of loan repayment of a total debt of 8,503 billions. In 2015 Government revenue was in the region of Rs. 1355 billion while the expenditure was at Rs 2290 billion , the deficit between revenue vs expenditure was Rs 829 billion . A total of Rs 509 billion has been paid as interest while Rs 808 billion was required to repay the principle amounts of the loans taken, in installments or in full. Any nation or a government in the world tend to borrow in order to invest in projects that are meant to better the lives of its people. 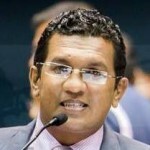 Yet in Sri Lanka’s case most loans have been obtained for consumption or bear the cost of subsidies and for that matter even if the money taken through loans have been directed to mega projects as investments, most of the mega projects have turned out to be white elephants of the which the brunt will have to be born by the green elephants whether they like it or not. The amounts of money spent on Mattala Airport, Hambantota Harbor and Hambantota International convention center are classic examples where no considerable amount of return on investment shall be forecast in the near future. Had there been a prudent study of these projects, there would not have been unpleasant economic impacts stemming from these white elephants. The experts have pointed out many times that instead of investing in the sleeping Hambantota harbor, the authorities at that time could have considered to invest in a off shore bunkering business, thus meeting the refueling requirements of the ships sailing in the regional sea. In stead of building a conventional center spending millions and millions which has not done any good to the people in the tsunami battered port city, the authorities could have diverted the money spent to a project like either mass cultivation of organic fruits or vegetables or assisting the fishermen in the area. These are few examples which has contributed to the heavy debt Sri Lanka is facing today and immediate action will have to be taken to reverse the trend even though it would give some hardships to the people in the short run. However the government should look at beyond merely imposing high rates of taxes or imposing new taxes in order to reach a permanent solution to the burning economic issues. A country shall obtain loans to develop the nation and repayment is expected and respected in a civilized modern world, the sad or the worst side of it is that the citizens who are made to repay are unaware of the fact that they pay for “vices” of the “unwise”. An interesting approach. However, have you made adjustments to fhe exchange rates, per capita income, GDP/GNP, population numbers, impact of oil prices, etc., to bring them to a common comparable base? What were the n’umbers in 1948? Dr. Rajasingham Narendra Theoritically you are right, you cannot exchange apples for oranges.However, there is an underlying fault with our economy and we are repeating those mistakes even today. Between 2004-2015 the fuel bill had been Rs.4,269,770 Mn. This could have been prevented if all our Govts since 1977 attempted to find substitutes for petroleum, coal and natural gas.In 1975 experiments were conducted to run vehicles on alcohol. Considering the technology available then it was a success.All govts since 1977 deliberately dissuaded further work in this direction. Some countries -Iceland generate their grid power via fuel cells.The particular fuel cell where Hydrogen combines with Oxygen is a fuel cell that can be used. The raw material for all this could be rice, which is freely grown. Since 1989 all attempts to encourage the Govt to resort to Fuel alcohols had been discouraged. Local crops like sugar cane and passion fruit which led to an extensive village based industry was destroyed by the so called foreign investors who got into these sectors in the post 1977 era.The worst case scenario was the destruction of the Sugar Cane industry which had lasted over 150 years by then. I actually do not see a future for this country,where racketeers roam free. Yet we increased our cadre of ministers and deputy ministers just to continue to keep their snouts in the gravy train. When we see how much largesse is lavished on our politicians and their kith and kin one would believe that we are a nation rolling in money. Now do you wonder why we sell our women to the Middle East Arab slave market (anyone who argues that our women are not slaves need to take a better look). What a Sinhala Buddhist wonder of Asia. and the islanders are made to bear with today. the adage, “Stupidity is a Virtue” has considerable support. What can you expect when the National Average IQ is 79? The Land of Modayas and Mootals! Where do the Saudi Brides Rank on the Unwise Scale? They ignore the Groom! So, the Groom divorces the Bride! National IQ Scores – Country Rankings – Where do Saudi Women Rank? Just look at that picture; Both Fat Cats, both ace swindlers. Planning their next move to rip the country with another massive bond scam. xahesh, Good article, but what is the answer? When people vote in politicians to parliament it is done with the expectation that the economy will be managed efficiently. That does not happen because those voted in are incompetent. One could say that the voter too is incompetent. Besides taking action to rectify these shortcomings, one key essential will be to have competent and capable technocrats who will be entrusted to man the ministries somewhat like the Permanent Secretaries who existed earlier. A trained and disciplined public service not yielding to the whims of the politicians will need to be established. The background to a possible case study can be to determine the motivating factors that lead to those Hambantota projects named. Let us ferret out the feasibility studies that must have been done, and name the experts who drafted them, and who supported them. Another aspect that needs to be determined is whether legislative enactments can prevent a future repeat of this fiasco. Is it not because those responsible have not been held accountable and punished? Mahesh has done a good analysis of the Post Independent period of Ceylon. But as Wickramasiri states, no solution has been mentioned. If that article is read well, we know what not to do, isn’t it? #1, We should not live beyond our means. If our capability to earn is Rs 1,000 per day, then let us spend less than that and try to save a small portion of it. If our neighbor drives a Mercedes Benz, we should thank our Creator for the blessings he has showered on our neighbor. However, today most of us aim to have the same Benz car parked in our front porch, EVEN if we could not afford the car. Result: We end up in the bank to finance a vehicle that is not affordable to us. #2, We as a country should work on Import substitution WITH Quality consciousness. A big majority of our needs is met by imported materials. We drain our reserves and pay out to a foreign manufacturer, who sells us the goods we need at a price that includes their margins as well. Once, imported we still end up paying a customs duty, taxes etc. This adds to the cost further. Result: Higher cost of goods, Higher cost of Living. With inadequate job opportunities to earn a living. As we have already outsourced our production to foreign manufacturers. #3, Our Governments love to tax the middle class and leave the Super rich in a happy position and privileged position always. There has to be a encouragement from the government to allow the middle class folks to enjoy what they earn and take up a supervisory role. Our successive governments have become state sponsored business ventures. Result : The citizenry suffers from paying high taxes on already reduced income potentials. #4, Produce to export some part of the output. This will enable the people to become entrepreneurs and also bring in the much valuable foreign earnings. Our land is blessed with much fertility. Organic farming, cut flowers and other such exports that are of higher value are largely unknown to our farmers. Our country is blessed with rare earth minerals, which the Chinese are aware but not us, as per the newspaper a few days ago. The amount sapphires and rubies that a re mined in this country, processed and exported. Is the real earnings of these mineral exports reflected in the Central Bank statistics? Result : Lost opportunities due to improper information provided to the farmers etc. These are some points that come to the mind of a high school graduate such as me. I am sure these ideas are well known to the learned economists at the Finance Ministry and the Central Bank. Hopefully, they formulate a solution to this striving nation, SOON. MS, knowing the situation, the next step should be to disburse funds to agricultural projects for export market with enhanced technology. There are enough lands and skilled people with know how. I know the demand for our products abroad. Especially coconut milk, oil, tea, vegetables etc.etc. are in heavy demand. The enhanced production could also meet the local needs very easily. The problem is, the political parties will certainly use its authority to allocate the slots to their henchmen, employ those canvassed at election. Then we may have to bribe authorities to get licenses, permits, approvals, etc. etc. The alternate solution would be to invite foreigners to do these projects. Surely conditions would apply.